Every year, three months before your birth month, the Social Security Administration will send you a copy of your Social Security Statement. It’s a document that, among other things, lists how much you can expect to receive from the SSA when you reach retirement age. 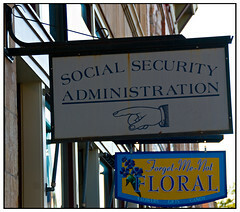 Here’s a sample Social Security statement that should look very similar to yours. If you’re far from retirement, this document isn’t going to be very important to you because you aren’t planning on receiving benefits yet. You probably shred it the moment you received it, but that would be a mistake! The next time you receive your Social Security statement, review page three very carefully and confirm that Your Earnings Record is accurate. In many cases of “minor” identity theft, someone steals your social security number in order to provide it to an employer for tax purposes! While the earnings are being reported, the employer may not be withholding taxes from the person’s paycheck. That means, when the earnings are reported to the IRS, you may find yourself paying taxes on income earned by the thief. It could be a symptom of a much more serious case of identity theft, as the person knows at least your name and your social security number… probably more. You always want your records to be 100% correct, even if they’re better off being wrong! If you see your earnings record is incorrect, whether because of fraud or just human error, contact the Social Security Administrator immediately at 1-800-722-1213.